Woohoo! It's Thursday again, and I can't wait to party! The past few days have been dominated by restoring order to my house and cleaning up the glittery chaos that is Christmas. We all know that I'll still be finding bits of glitter in April, but whatever. I love it anyway. So, that has meant that I still haven't quite finished my scrappy X Plus quilt (just binding left!). I can't wait to show it to you though. I am in love with it! I've also been working on another quilt (that's two at once, friends...I must have taken leave of my senses, ha!) This one is to help celebrate Fat Quarter Shop's most popular video tutorials of 2015. I picked my personal favorite of the ten most popular, and I'm revealing this one tomorrow, so be sure to check back! 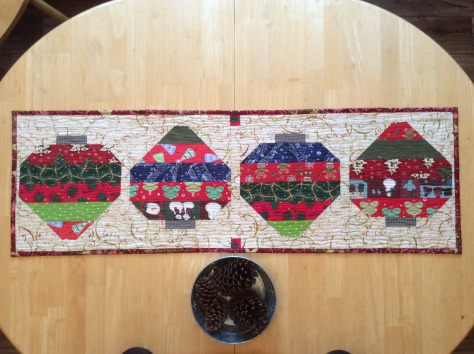 Pretty Christmas ornament table runner by Lori at Crossquilt (she used my tutorial, but rounded the bottoms of the ornaments- still adorable! Okay then, friends! Let's party it up! Lots of eye candy this week. Happy New Year! 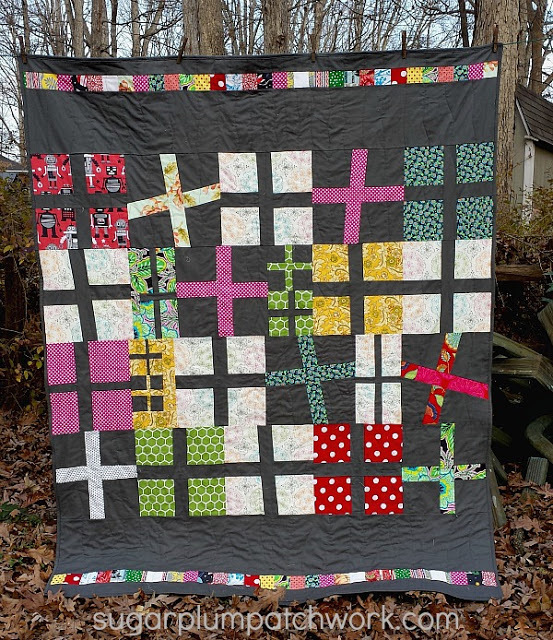 Thanks Kelly for choosing my Wonky Crosses quilt as one of the featured quilts this week. 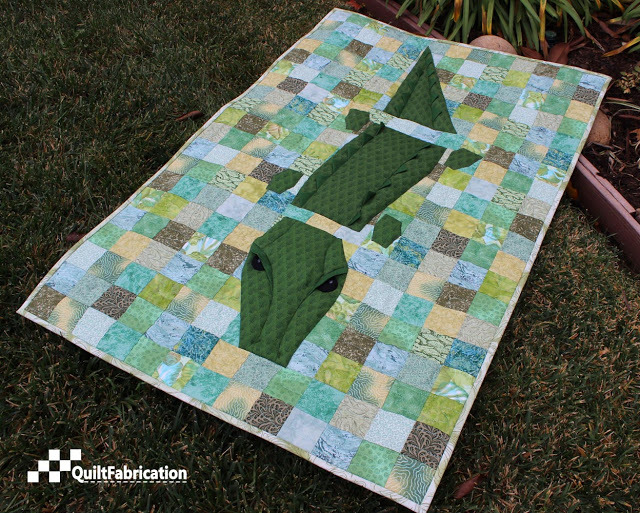 What an honor to be included among so many lovely quilts and on your lovely blog! Hope your 2016 is off to a great start. All great projects. Thanks for showing them. Hope you had a great Christmas. Thanks for featuring my Farm Girl Vintage Sampler Quilt. Happy New Year! Hi Kelly!! Hey thanks for the highlight!! I too love how all those colors came together! You are right....simple but so pretty. 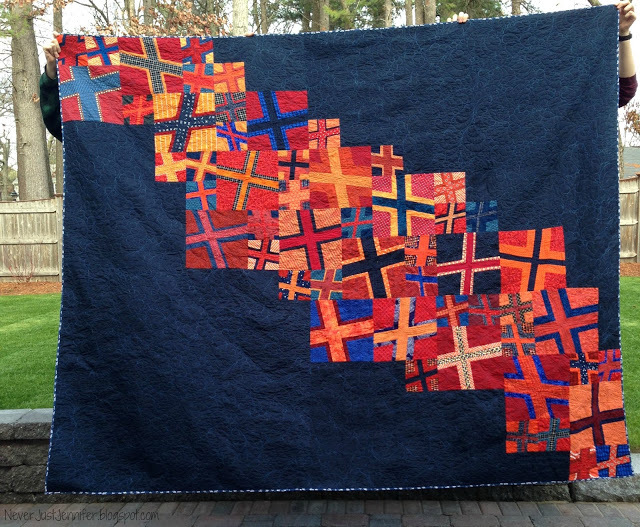 Love your plus quilt and Never just Jennifer's quilt is amazing!